Every person who in any highway or other public place, whether a building or not, is guilty while drunk of riotous or disorderly behaviour, or who is drunk while in charge on any highway or other public place of any carriage, horse, cattle, or. steam engine, or who is drunk when in possession of any loaded fire-arms, may be apprehended, and shall be liable to a penalty not exceeding forty shillings, or in the discretion of the court to imprisonment with or without hard labour for any term not exceeding one month. Whilst cattle driving on the highways of the country is a rare occurrence these days, the annual Christmas drink drive campaign is something most of us are familiar with. Every year there is a drink driving campaign in December, but what does this actually mean for motorists? Many urban myths surround this annual campaign. We have all seen the television adverts and promotional literature. We have also heard tales about what the campaign is actually about. As a practitioner on the ground this is what we actually experience every year. Firstly, even in times of austerity there are more police traffic patrols at this time of year. These are not just in the evening but also in the morning. The campaign is not just limited to people leaving pubs and bars but also those in the morning who despite getting themselves heartily refreshed the evening before still feel well enough to drive. Also as with much of policing these days there is also a pattern of the targeting of roads around particular venues. A favourite tactic is to keep a car park under observation around closing time and see who emerges and the state that they are in. This can involve one or two vehicles, one to spot and one to stop. Does this mean drink drivers are more at risk of being caught than at any other time of the year? In a nutshell, yes, as there are more patrols dedicated to seeking out suspected drink drivers. However, there are also campaigns at other times of the year such as high summer. The whole idea is to provide a deterrent effect. 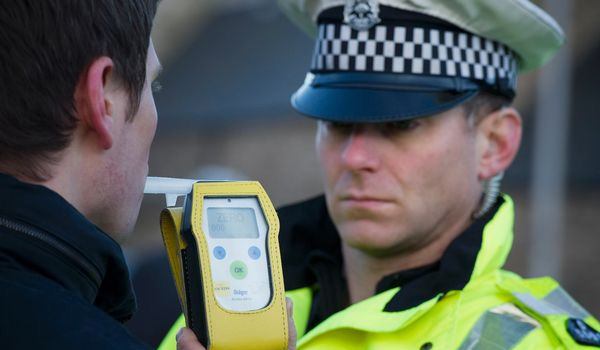 Are the Courts more forgiving of people caught drink driving at Christmas? In the season of goodwill, unfortunately the answer is no. Appearing in Court with a long list of other alleged drink drivers may provoke the Court to lose any festive sense of humour. Also the temptation is always there for the Court to seek to provide a deterrent sentence to warn off other potential drink drivers. Is it true that if you are caught at Christmas you get a bigger fine and no ban? No, the penalties remain the same throughout the year, sometimes even harsher sentences can result in response to drink driving campaigns. Also, for those unfortunate enough to be convicted twice of a drink related driving offence in a ten year period, the minimum ban is three years. The Courts are well set up to deal with alleged offenders quickly and the Christmas period doesn’t slow the process down too much. Summer 2011 saw “riot courts”. These dealt with alleged offenders quickly, usually within hours of being arrested. Those facing alcohol related driving offences can expect to be in Court within a few days of being charged. For those kept in custody overnight this can include an appearance on a Saturday morning. An all too common scenario that we see is for somebody to have a couple of drinks at lunchtime whilst catching up with friends over the festive period, then to go on after their afternoon activities and have a couple of drinks at the end of the working day. Under normal circumstances they would be fit to drive after a period of abstinence in the afternoon however the drinks later in the day push the alcohol concentration in their bodies back up. They feel perfectly fine to drive and display few outward signs of intoxication, the classic symptoms being glazed eyes, unsteadiness on the feet and the slurring during speech. However by that stage they are over the limit and liable to arrest and prosecution, usually resulting in a ban. Gary Bromelow is vastly experienced in all aspects of criminal law and advocacy. In recent years Gary has specialised in regulatory and private client crime. He is head of our specialist Motoring unit with a number of notable cases to his name. 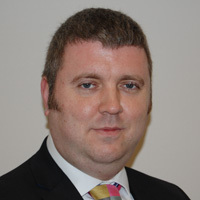 Gary is a member of The Law Society and The London Criminal Courts Solicitors Association. Saunders Law is a central London law firm with 37 years’ litigation experience, particularly known for its work in criminal defence, motoring, fraud, regulatory and litigation. Excellent artical Gary but the fact remains in my mind. If you choose to drink and drive then that is your own stupid fault. there is NO excuse in my mind.